Most private Health Funds have an annual limit per person that expires at the end of the calendar year, so we invite anyone who might not have used their extras optical rebate this year to visit us before the end of December and order a new pair of glasses from our great range of new season fashion frames and prescription sunglasses. Alternatively you may like to consider contact lenses. So all you need to pay is any gap, and with our value package glasses, there will likely be no gap at all! If you need an examination contact us today to arrange an appointment otherwise just ring or call in to order you new glasses or contact lenses. 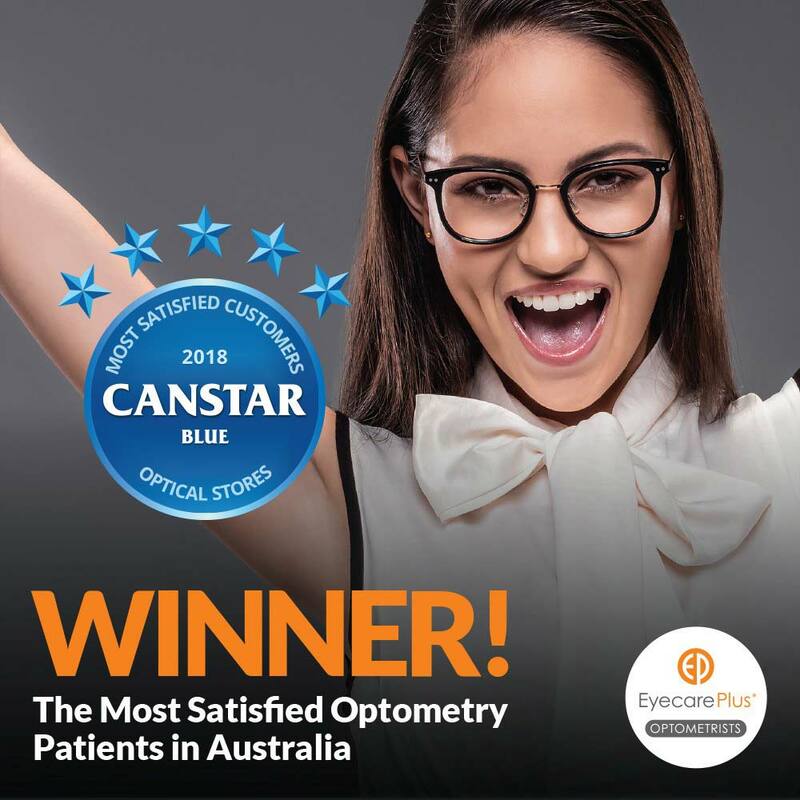 “This proves that patients really appreciate our independent and thorough approach to Optometry,” said local Blackburn and Balwyn Eyecare Plus Optometrist Sue Strachan. “We don’t have big marketing budgets, but we do have a big commitment to excellence, and it’s great to see that being acknowledged by the public,” she said. “This proves there is still strong demand for quality eyecare and that the public understand the importance of a thorough eye examination in preventative eye health,” said Sue. Sue and Greg Strachan and their patients have donated about $60,000 since they began supporting the charity OPTOMETRY GIVING SIGHT about 11 years ago when the charity was set up. At STRACHAN EYECARE we donate in three ways. The first is by donating $2 for every pair of glasses sold – this goes to OGS as part of the charity’s ‘Care & Share’ scheme. 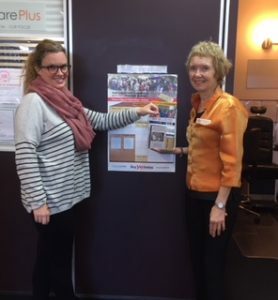 We also have a donation box in our Blackburn and Balwyn practices where patients can donate a gold coin to OGS in lieu of being charged for minor repairs to spectacles. Posters in the practices explain what the charity does. Thirdly, we have a ‘giving wall’ behind the reception desk at each practice where patients can place a gold coin in the donation box to help build a vision centre and write their name on paper bricks stuck on the wall, an activity which our young paediatric patients in particular enjoy. Since 2007, OGS has distributed funds to more than 117 sustainable projects in 39 countries, including Australia. Currently there are 47 projects being funded in 24 countries. 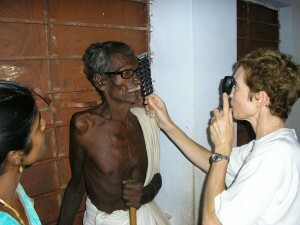 These projects include 14 new schools of optometry globally in countries without Optometrists or very few practitioners. This includes the recently opened Haiti School of Optometry and Vision Sciences which aims to overcome the disparity of Haiti having only three Optometrists for a population of more than 10 million people. Other programs include outreach programs in East Timor, Sumba and Bangladesh where Optometric services are provided to underprivilged people living in remote areas where there is no access to the type of health care we take so much for granted here in suburban Melbourne. 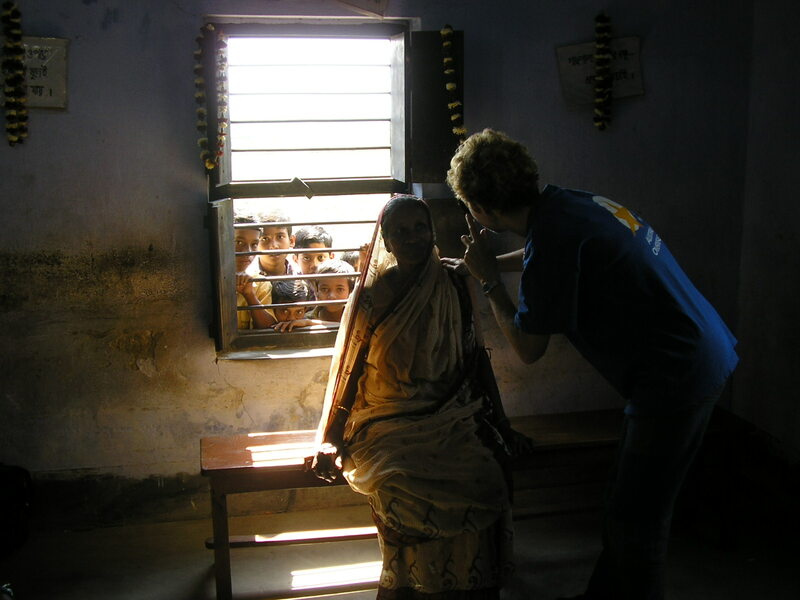 Sue was absent from the practices for three weeks during February 2018 having been in India on her 11th trip with aid group EQUAL HEALTH. The EQUAL HEALTH Optical team conducts basic eye tests and supplies free new glasses and also facilitates cataract surgery for people who are blind or significantly visually impaired. 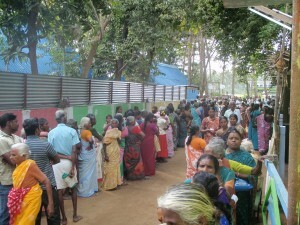 For the EQUAL HEALTH team, it’s a very busy but extremely rewarding experience. This time the team was based in Trichy in southern India, inland and south of Chennai, with a few days spent on the coast at a town called Poompuhar – this is in an area that was ravaged by a severe cyclone in December 2012, and when the Equal Health team, including Sue and her daughter Lacey, visited in February 2013 they were extrememly busy replacing so many pairs of lost glasses. This year the optical team was again very busy, dispensing 2,700 pairs of glasses! STRACHAN EYECARE are now stockists of the iconic TOM FORD eyewear – Tom Ford optical frames focus on meticulous craftsmanship and attention to detail. Offering a collection of sophisticated styles for men and women, Ford brings his trademark clean lines and sensuality to a sleek signature eyewear collection characterized by luxury and singularity. Using the finest combination of materials; rich acetates and metals receive exclusive treatments creating stylized finishes and textures producing beautiful frames of the highest quality. Slender plaques discreetly bear the Tom Ford logo. A signature design element and a symbol of the collection is an elegant metal T shape set flush into the temple of many of the styles. Other recent additions to our frame lines at STRACHAN EYECARE are LA FONT and JOULES eyewear. LA FONT are a beautiful boutique range of frames that are all HANDMADE in France, whilst JOULES are designed by the same team who are responsible for the extremely popular TED BAKER frames. 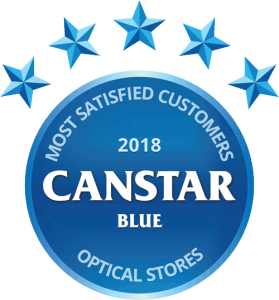 We are also now stocking the ONYX range of prescriptable sunglasses – all very stylish, giving full UV protection and priced at a very affordable $199 complete with single vision PRESCRIPTION POLARISED tinted lenses plus frame! And for those of us who only need to wear reading glasses, we now also stock ‘CLIC GLASSES’. This range is unique in that the temples are joined in one long loop, designed to hang around the back of the neck, and the frame front is actually in two halves that connect by magnets at the bridge of the nose! This is handy for those that like to carry their glasses with them, and avoids wearing them on top of the head! These frames come in stock plus powers but are also fully prescriptable. all of course with our renowned quality and service. both with an amazing UNCONDITIONAL 2 YEAR FRAME WARRANTY! Great peace of mind for parents!